In a time before radio or telephone, the only way to communicate over long distance was by letter. At the time, it typically took a a few weeks to a month for a letter to get from the eastern US to California. 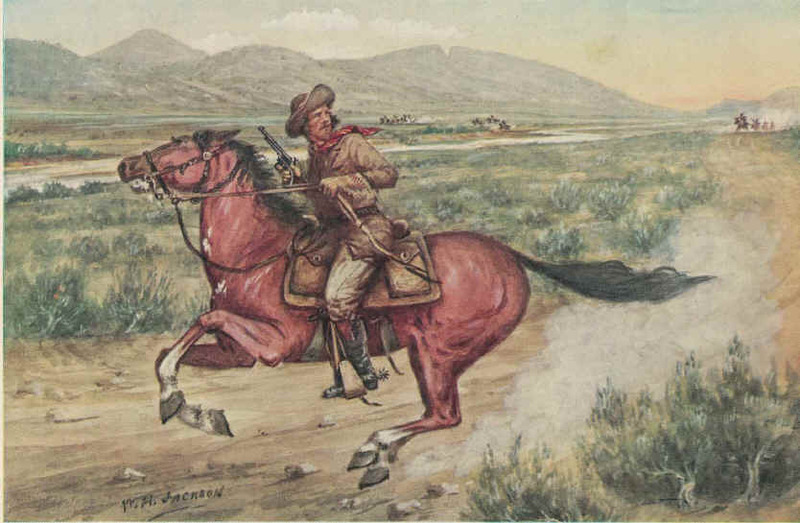 The Pony Express used relay teams to deliver mail between the east and the west coast. They were able to get delivery time down to about 10 days, traveling from St. Joseph, MO to Sacramento, CA. There were stations located about 5 to 25 miles apart all along the route where the riders would change horses. The riders would ride about 100 miles before passing the mail to the next relay rider. It was costly to mail items through the Pony Express, $5 for a half ounce in the beginning, $1 per half ounce in the end. (That would have been about $130 and $26 in today’s dollars.) The company had hoped to get a US government contract but it went to a stagecoach company instead and private business wasn’t enough to keep them solvent. After a little less than a year – March 1861 – the only route they were running was between Salt Lake City, UT and Sacramento, CA. In October of that year the transcontinental telegraph line was completed. Two days later, the Pony Express announced it was closing. Previous PostThe First Donuts?Next PostFirst Muhammad Ali Heavyweight Title?